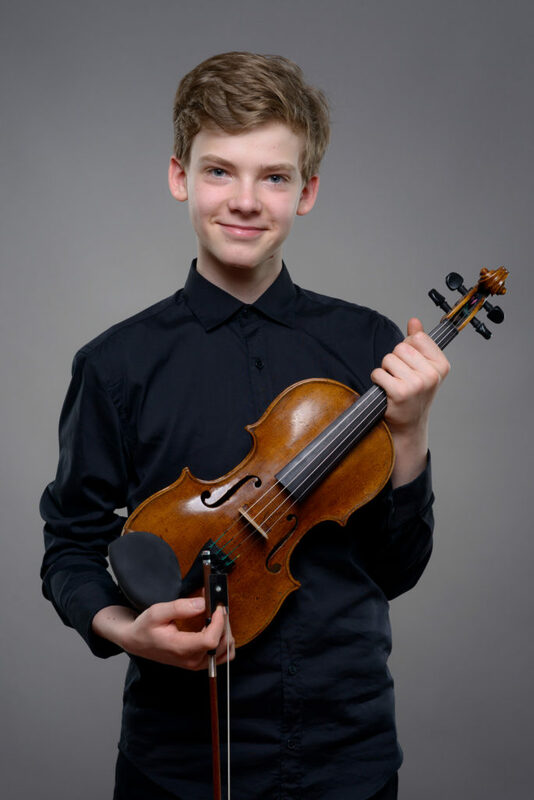 Wiktor Dziedzic started playing violin at the age of 4. He has won numerous national and international violin competitions including: The Grand Prix in Artistic Education Center Competition, The Grand Prix in National Violin Competition in Toruń,1st Prize in M.Ławrynowicz Ninth National Violin Meetings, 2nd Prize in International George Philipp Telemann Violin Competition in Poznań, 2nd Prize in 52nd International Radio Competition ”Concertino Praga”. He is now a student of Natan Dondalski at G.Bacewicz Music School in Koszalin, Poland, where he is supported by a scholarship received from the Minister of Culture and Heritage of Poland, a Young Poland scholarship, the National Children’s Fund scholarship and the President of City Koszalin’s scholarship. Recently, he has performed with Koszalin, Warmian-Masurian, and Podkarpackie Philharmonic Orchestras and also as a soloist and chamber musician in Poland, Germany and Czech Republic. Nevertheless, Wiktor took part in masterclasses with distinguished artists such as Larissa Kolos, Agata Szymczewska, Bartosz Bryła, Jan Stanienda and Herwig Zack. If you are interested in working with Wiktor, please get in touch with the EMCY Office.